Trump said he supports the intel community, but suggested he believes Putin. President Donald Trump hedged on whether he agrees with the intelligence community on its conclusion that the Russian government interfered with the 2016 presidential election at a joint press conference with Vladimir Putin in Helsinki, Finland, Monday. "People came to me, Dan Coats came to me, and some others -- they said they think it's Russia," Trump said. "I have president Putin, he just said it's not Russia. I will say this, I don't see any reason why it would be." Trump added that while "I have great confidence in my intelligence people," Putin gave him a very strong denial. 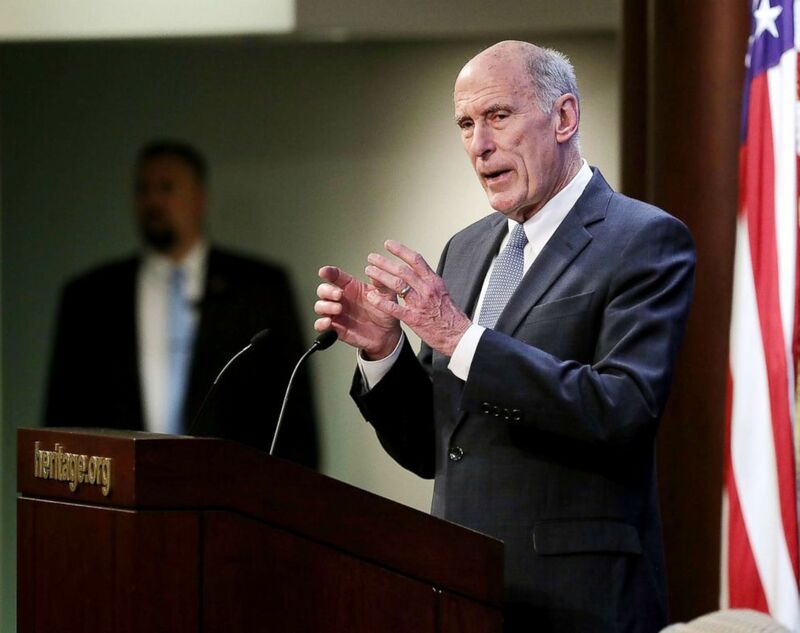 (Chip Somodevilla/Getty Images) U.S. Director of National Intelligence Dan Coats delivers remarks on Oct. 13, 2017, in Washington, D.C.
Director of National Intelligence Dan Coats, head of the U.S. intelligence community, reaffirmed his conclusion that Russia had indeed tried to sway the election in a statement published after Trump's remarks. "We have been clear in our assessments of Russian meddling in the 2016 election and their ongoing, pervasive efforts to undermine our democracy, and we will continue to provide unvarnished and objective intelligence in support of our national security," Coats wrote. Trump later reiterated his support for the intelligence community on Twitter, while adding that diplomacy between Russia and the U.S. must also be a priority. "As I said today and many times before, 'I have GREAT confidence in MY intelligence people,' he tweeted. "However, I also recognize that in order to build a brighter future, we cannot exclusively focus on the past – as the world’s two largest nuclear powers, we must get along!" Former homeland security advisor to Trump and ABC News contributor Tom Bossert, who said he hopes the president did not mean to imply he trusts Putin over his own intelligence officers, agreed with Coats. "I've seen that intelligence, I believe it, I've concluded that there was Russian meddling," he said. Bossert said that while he understands why Trump would be defensive on the topic, he believes the president needs to better differentiate between the political attacks against him and the assessments of America's intelligence agencies. "It is extremely infuriating and frustrating to stand up day after day, as he does, and take questions -- I believe in his view, baseless questions -- that undermine the credibility of his presidency and the legitimacy of the election he fought so hard for," Bossert said. "But that doesn't change the fact on days like today when you're on a world stage and you're the commander in chief of the United States of America, I think you have to put those domestic political frustrations aside and you've got to answer the questions in a way that provides confidence to our intelligence community." Several Republican lawmakers also weighed in. (Aaron P. Bernstein/Getty Images) Senate Majority Leader Mitch McConnell speaks with reporters following the weekly policy luncheons at the U.S. Capitol June 26, 2018 in Washington. 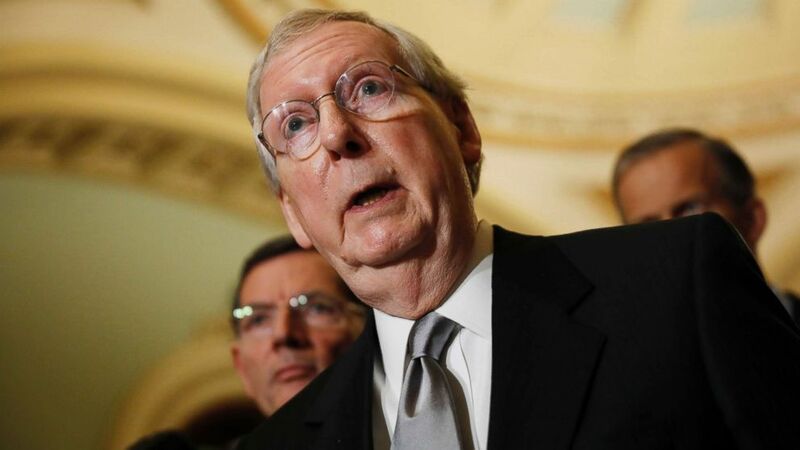 “I’ve said a number of times and I’ll say it again: The Russians are not our friends and I entirely believe the assessment of our intelligence community,” Senate majority leader Mitch McConnell said. Senator Marco Rubio likewise affirmed his support of the intelligence community's findings. “What the president said today is not accurate," he said. "The intelligence community has assembled probably an unparalleled amount of evidence in regards to the Russian, not just efforts to interfere in 2016, but ongoing efforts to interfere in American society." 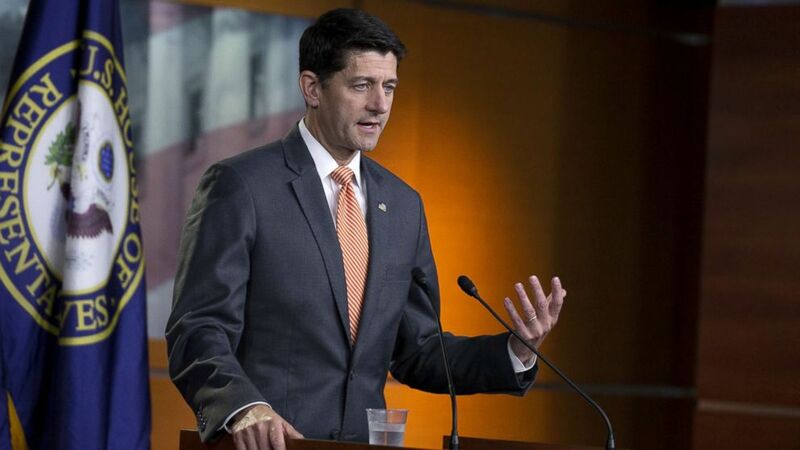 (Alex Edelman/Getty Images) House Speaker Paul Ryan speaks with reporters during his weekly press conference at the Capitol, July 12, 2018, in Washington. House Speaker Paul Ryan issued a statement saying "the president must appreciate that Russia is not our ally." "There is no question that Russia interfered in our election and continues attempts to undermine democracy here and around the world. That is not just the finding of the American intelligence community but also the House Committee on Intelligence," Ryan said.